Failure (n) 1. lack of success 2. the omission of expected or required action. 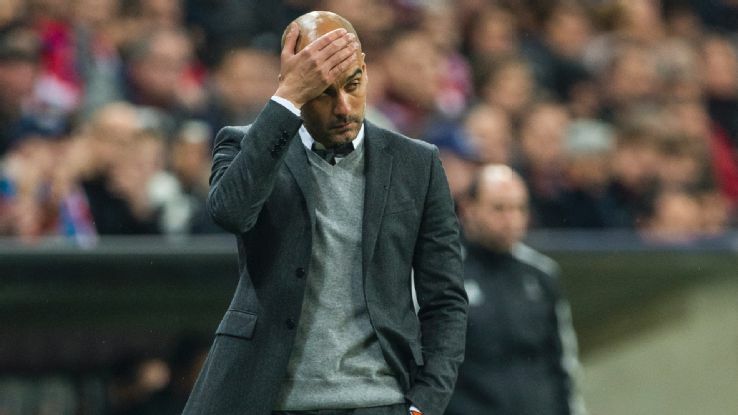 After Bayern Munich’s defeat in the Champions League semifinals to Atletico Madrid on away goals, the debate over Pep Guardiola’s Bayern career started; has he been a failure? It reached fever pitch when Gab Marcotti and Craig Burley debated the topic on ESPNFC. The question remains; has these three years been a failure. Looking at the definitions above, Pep’s Bayern career was not a failure. Two Bundesliga titles (could win his third this weekend), a DFB Pokal title (in the finals of this year’s campaign), and three appearances in the semifinals of the Champions League is a successful resume on anyone’s career. It is debatable whether the Bayern brass established Champions League glory as one of his goals when he signed, but it is not a question that they wanted to bring a culture of winning that will live long after Guardiola leaves this summer. 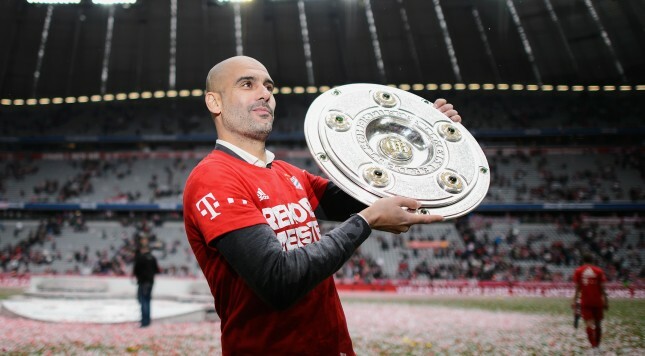 Without a doubt, he succeeded in continuing to make Bayern, not only a shoo-in to win the Bundesliga every year, but to be one of the elite clubs in Europe. Disappointment (n) the feeling of sadness or displeasure caused by the nonfulfillment of one’s hopes or expectations. Although failure should not be the correct word to describe his Bayern career, it can be counted as a disappointment that he could not obtain his third Champions League trophy or even make a final with the club. 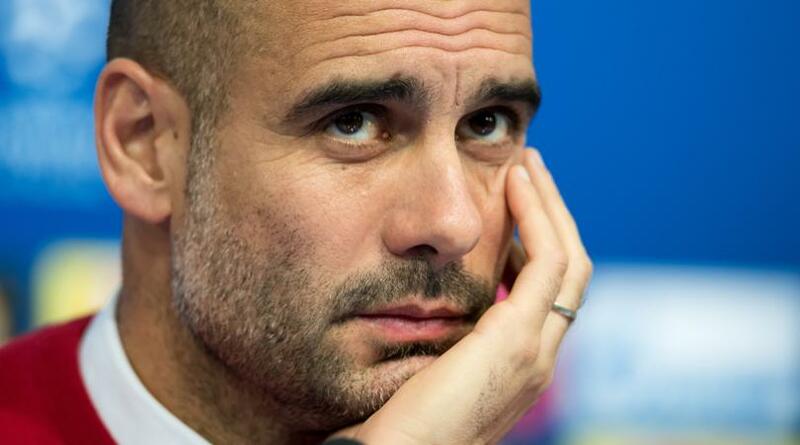 It is not fair to Pep, but the success he brought along with him from Barcelona and the treble winning season Bavarians experienced the year before he arrived, may have given expectations that might not have been realistic. He could not exceed what was fulfilled in the 2012/13 season, but only could match it. With the players at his disposal and his genius, by his third season, they could finally complete the job and win in Europe. They progressed and learned from their previous failures in the Champions League to get to the point where they could break through. It was even more disappointing not to advance against a squad that is not as strong as theirs. Guardiola will look back to the culture he built at his time in Munich and be disappointed that he could not bring the Big Ears back to the German club. With him, it is about following the principles, but the way he appreciates the club, he will feel that the fans and the club deserved an European trophy through his work. As he heads to the Manchester, the Catalan will be proud of the continued winning culture that he was able to produce for Bayern Munich. However, there will be a feeling of regret of not being able to conquer the Champions League with what he has built. It is disappointing because the team was a joy to watch and he always asked for perfection out of them. But when we read his footballing obituary, there will be an achievement missing from his honors at Bayern Munich.